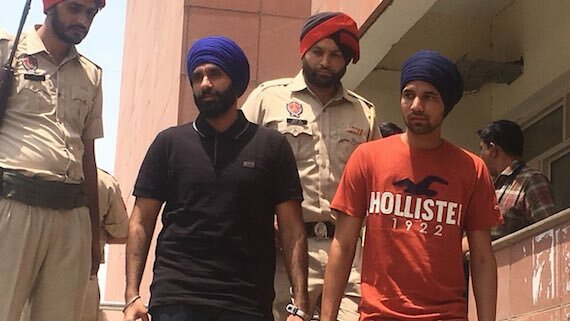 Chandigarh/ Mohali: The Sikh Siyasat News (SSN) has come to know that the National Investigation Agency (NIA) of India is trying to get Jagtar Singh Johal’s case transferred out of Punjab. The NIA has filed a petition in the Supreme Court of India (SCI) under section 406* see provision below of the Code of Criminal Procedure (Cr. P. C) which empowers the Supreme court of cases to transfer cases from one criminal court of subordinate jurisdiction of one high court to another criminal court of similar or superior jurisdiction of another high court to meet the “end of justice”. The NIA has filed Transfer Petition Criminal No. 512/2018 in the Supreme Court of India (SCI) requesting that Jagtar Singh Johal alias Jaggi, Ramandeep Singh Bagga, Hardeep Singh Shera, Dharminder Singh alias Gugni, Anil Kumar alias Kala, Amarinder Singh, Manpreet Singh, Ravipal Singh, Pahad Singh, Parvez alias Farru and Malook Tomar who are facing allegations under the Unlawful Activities (Prevention) Act in cases investigated by the NIA to be transfer from jails in Punjab to Tihar jail in Delhi. The Supreme Court has issued notice to the respondents and fixed 3 December 2018 as next date of hearing. As per documents accessed by the Sikh Siyasat News (SSN) the Supreme Court of India (SCI) has installed stay on proceedings of Special NIA court Mohali in cases numbers Case Nos. SC/70/2018 (RC-18/2017/NIA/DLI), SC/76/2018 (RC-22/2017 /NIA/DLI), SC/77/2018 (RC-27/2017/NIA/DLI), SC/78/2018 (RC25/2017/NIA/DLI), SC/79/2018 (RC-23/2017/NIA/DLI) and SC/ 88/2018 (RC-26/2017/NIA/DLI) against Jagtar Singh Johal and others. It is pertinent to mention here that it is the same plea that was referred in an earlier news by the Sikh Siyasat News (SSN) while reporting that the NIA was seeking jail transfer of Jagtar Singh Johal and others to the Tihar Jail in Delhi. Today, during further scrutiny of the available information it was found that the NIA is trying to get the trails of cases of Jagtar Singh Jaggi and others transferred out of Punjab. It is suspected the the NIA may be seeking to get their cases transferred to Delhi as earlier the NIA had requested the Special NIA court Mohali to transfer them to the Tihar Jail in Delhi but finding no merit in its request the NIA Special court Mohali had dismissed NIA’s plea. Jagtar Singh Jaggi’s lawyer Advocate Barjinder Singh Sodhi said that Indian investigative agencies, especially the NIA in this case, is playing in political hands. “We have plenties of documents and evidences to prove that Indian investigative agencies do not work to serve the ends of justice rather they toe political lines. Same thing is happening in this case”, he added. Questioning NIA’s move he said that whether NIA wants to say that the NIA court in Punjab won’t be able to meets the ends of justice in these cases? He said that the judiciary should discard NIA’s ominous move. 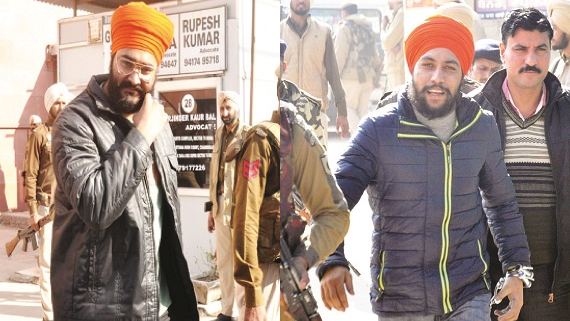 Defence counsel of Ramandeep Singh Bagga, Ramandeep Singh Shera and other arrested persons Advocate Jaspal Singh Manjhpur they have not yet received not received any notice in this regard. He said that if they receive the notice in this regard the defence will strongly oppose the NIA’s plea in the Supreme Court of India. He maintained that the Indian investigative agency is trying to crease unnecessary hype and cause unnecessary harassment to arrested persons and their families in the case by making such moves. (1) Whenever it is made to appear to the Supreme Court that an order under this section is expedient for the ends of justice, it may direct that any particular case or appeal be transferred from one High Court to another High Court or from a Criminal Court subordinate to one High Court to another Criminal Court of equal or superior jurisdiction subordinate to another High Court. (2) The Supreme Court may act under this section only on the application of the Attorney- General of India or of a party interested, and every such application shall be made by motion, which shall, except when the applicant is the Attorney- General of India or the Advocate- General of the State, be supported by affidavit or affirmation.